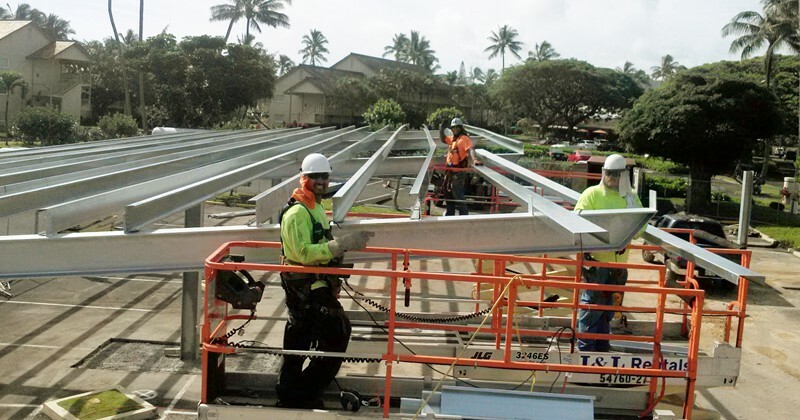 I want to personally send you my tremendous gratitude for Skyline Steel’s efforts on the Hawaiian Island of Kauai this past December. 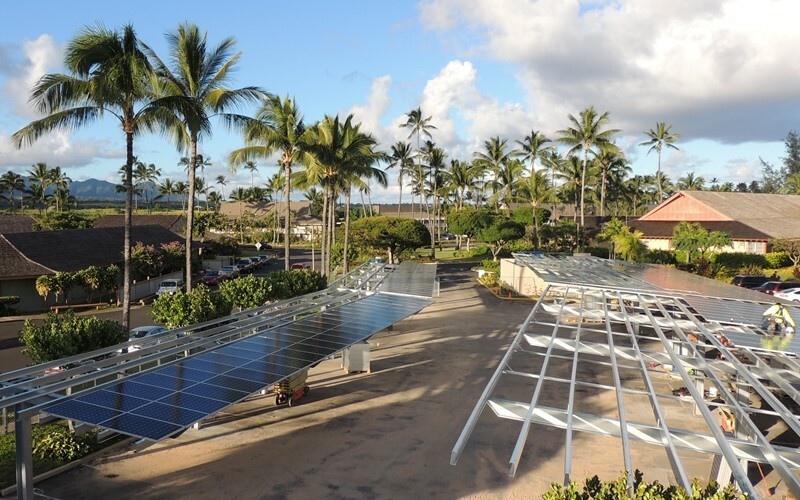 We were faced with an insurmountable challenge of completing our 198 kW solar system and steel support structure at the Kauai Coast Resort before the December 31st, 2013 deadline. From the outset, the design and engineering of this project was difficult. 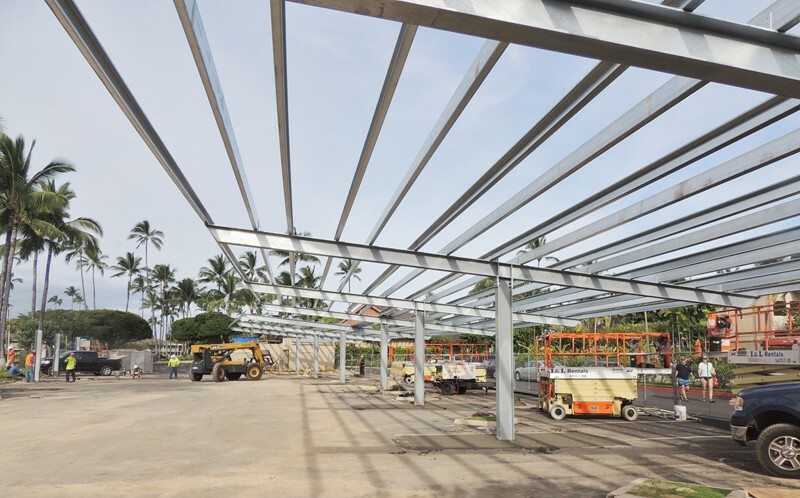 Due to the environmental setting, soil condition and cultural sensitivity, your proactive problem solving and ability to negotiate these difficulties were the only way we found a workable and buildable solution. I am sure you remember that our building permit was handed over 10 minutes before closing on Friday the 6th. Your shipment of 40,000 lbs. of steel landed on the island that day by ship, and your crew was arriving on the 8th. 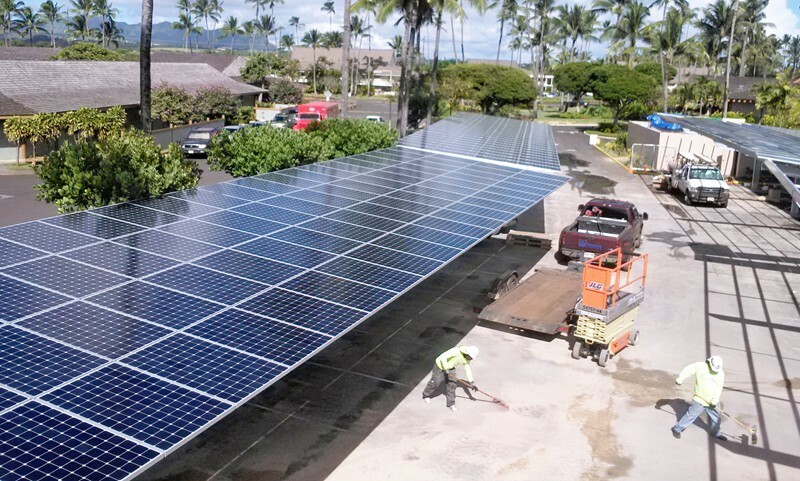 On Monday the 9th, we started and in less than two weeks, we had a beautiful, structurally sound and square solar support structure. Russ Campbell was a huge part of making this happen. He was available when needed and very capable of managing the project from start to timely finish. Since I was there the entire time, I can assure you that all of the vendors and subs helping us and anyone else paying attention were absolutely blown away. The community had never seen anything like this happen in the timeline we had. The crew acted with the highest professionalism and safety on site. Luis and his crew, Julio, Roy and Mike were all top notch, simply excellent. From the design and engineering to the heavy construction and rapid completion, it was an honor and a pleasure working with you personally, and on Sunetric’s behalf, I look forward to building with Skyline Solar regularly in the future. Thank you Rick and everyone at Skyline!